What I have decided to try and do is work my way through all my various bread recipe books and endeavour to find time friendly bread recipes that are easy to. But first here is my tried and tested standard white loaf recipe. It is a mix of recipes that I have tweaked to suit me and my kitchen. Feel free to tweak it for you, would love to hear any suggestions. 1 tbsp of oil of your choice – we use olive but rapeseed is lovely too. I usually mix my breads in a food mixer with a dough hook but you can easily do this one by hand as it is quite a soft dough. In your bowl put all your ingredients in except the oil. Making sure you have the yeast away from the salt (opposite sides of the bowl). Gradually add the oil whilst your mixer is doing it’s job. If you are hand mixing this you can add the oil at the beginning or incorporate it when you are kneading. Mix for 10 minutes on slow speed or until the dough looks smooth and you can stretch the dough easily. If you are kneading by hand you will need to do this for at least 10 minutes. Great destresser! Once you have a lovely smooth dough in your bowl you need to leave it to prove for around an hour or until doubled in size. If your house is chilly it may take a while, worry not the longer it takes the yummier it will be. You will need to cover the bowl to create the right environment for your dough. I use a shower cap as this makes that task so easy. You can use a damp tea towel or some cling film if you prefer. Once your dough is all lovely and proved you can tip it out onto a floured work surface. Knock it back ( gently knock it with your knuckles) and then shape into whatever loaf you fancy making. I love to make freeform loaves but a loaf tin is useful especially if you want to slice this for sandwiches. You can also use this dough to make rolls. I made last night 10 good sized rolls out of this dough. Leave the bread in a warm area for around half an hour so it can rise again. Meanwhile preheat your oven to 200 degrees C.
You can put your bread in the oven naked ( the bread not you!) or you can do an egg glaze and sprinkle some seeds on this. 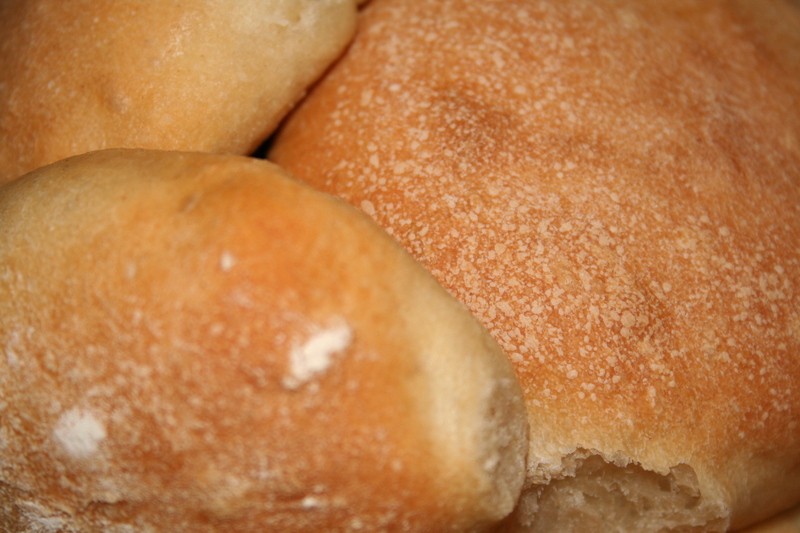 On the rolls add some sesame seeds and the rolls work great as burger buns or cheese for an interesting twist. Place in oven, bake for around 20/25 minutes for the loaf or 15/17 minutes for the rolls. You will have to play around with this as all ovens are different and you know yours better than I do. What you are looking for is a golden crust and when you tap it’s bottom it should sound hollow. Leave to cool on a rack for as long as you can. It will slice more easily if it’s cold!